The current dynamic marketplace demands startup geeks as well as giant entrepreneurs to rely on building comprehensive software solutions in order to automate and streamline complex business processes. But the traditional software development life cycle has evolved drastically and the emergence of advanced technologies is one major reason behind this. Artificial Intelligence (AI) and Machine Learning (ML) are the two fairly new technologies that have penetrated the realm of software development and transformed the entire process. But the real question is how these modern tools are accelerating the conventional software development process. Let’s look in detail about the same. As per scientific studies, these technologies can be seamlessly incorporated in order to build highly scalable and intuitive software solutions. Also, these tools can be efficiently used by non-programmers also. What’s The Real Impact Of AI & ML On Software Development? AI and ML can easily facilitate seamless design, creation, and mobile app testing. Also, AI plays in key role in helping developers produce clean and precise code. A study revealed that AI has the potential to come up with its own specific idea and write a program for the same. The market is witnessing different AI and ML-powered tools that are specifically built to enhance the experience for the engineers by automating several tedious and mundane development tasks. What Are The Areas In Software Development Where AI & ML Can Take Center Stage? Artificial Intelligence and Machine Learning have been used by the software testers to streamline the entire testing process. They take help of different open source tools with the potential to use AI for writing test cases and executing regression testing. For instance, we can explore Appvance which is an AI-powered software testing automation tool. Testers use this advanced tool generate test cases on the basis of user behaviour and carrying out load testing. Also, there is a unique tool called Testim.io which works on the principles of ML in order to speed up the entire process of initiating, implementation, and maintenance of automated tests. This tool is blessed with the capacity to become smarter when more tests are run. In addition, there is ML-powered testing platform named as Functionize which has the potential to perform functional testing for web and mobile apps by implementing ML algorithms. The bug fixing is a domain that has been completely revolutionized because of AI and ML technologies. It’s because testers have to deal with analyzing a huge amount of data and there are chances that they might neglect a few bugs due to their human nature. But AI and ML are the tools that have become a lifesaver for the testers in such business processes. They can easily depend on different AI-driven testing solutions such as bugspots and take help of AL algorithms in order to rectify their errors with minimum interference from the programmer’s side. The task of fixing the old code has become extremely easy with the help of AI and ML. These technologies are being used by tech-enthusiasts to build specific programs known as compilers. These programs are capable of fixing the old code quickly without even needing to refer to the original source. The main job of these compilers is to use the high-level programming language and convert it into language that can be understood by machines and provide them with instructions that they can follow. For example, there is an exclusive software designed by Adobe and MIT Computer Science and Artificial Intelligence Laboratory which is coined as Helium. The software is blessed with the capability to fix the old code easily without needing the original source of the same. It’s like a boon for developers because earlier they use to spend several days in performing the task of fixing old code but this solution can do it all in only a few days. This particular solution is well-known for optimizing the performance of Photoshop filters. In spite of efforts made by programmers, software solutions are still vulnerable to hackers and people with malicious purposes. This issue can be easily addressed with AI technology. With the help of AI algorithms, it becomes easy for the developers to identify places in their code which can be attacked by cyber criminals. By identifying vulnerable points developers can make sure to take necessary measures in order to cover those areas and build solutions that are much more secure. This will also encourage users to embrace such products as there will be no threat of the confidential data getting compromised or misused by the hackers. 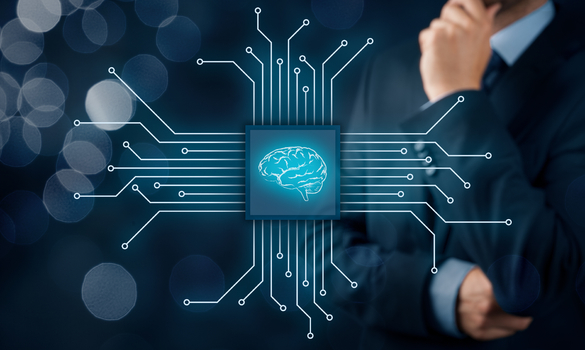 These are the four major ways in which AI and ML are transforming software development and letting developers build highly secure and feature-rich solutions. Now it’s the high time that every enterprise whether it’s a start-up or an industry giant to understand the significance of these advanced technologies and exploit their potential to create high-end products.